Description Kings Troubles is a drawing game. Save the King by drawing obstacles before the canon will go off. Draw a figure within the box. When you finish the drawing a wooden obstacle will be created and the canonballs will try to eleminate the King. 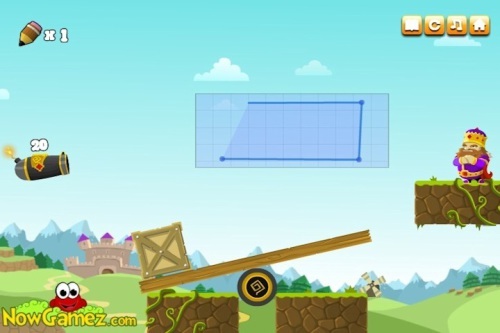 With the right drawing the King will be saved and you complete the level. There are 24 levels to be played. Have fun.